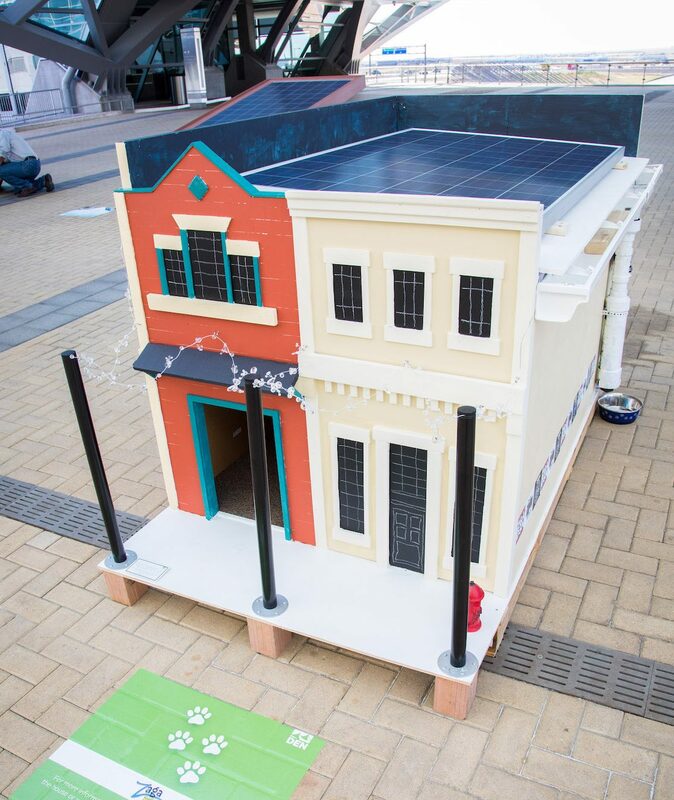 A dog house built by Zaga Neighborhood Design. This eco-friendly, insulated plywood house made largely of recycled IKEA countertops, has a roof that is coated in white sealant to reflect the sunlight and reduce the interior temperature on warm days. The house is heated and cooled via a combination heater/fan powered by the solar panel, and also takes advantage of passive cooling opportunities by providing coverable airflow grates on the floor. Rainwater is harvested through a first flush diverter system and is filtered through a water dispenser to quench Ingrid’s thirst. 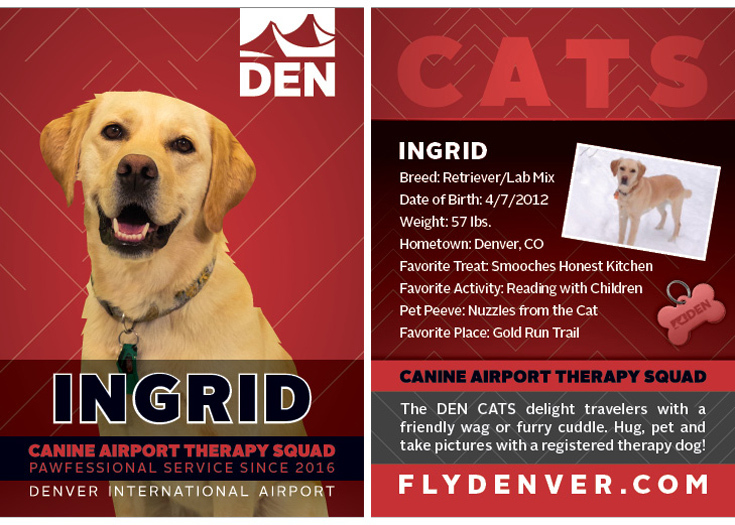 DEN Canine Airport Therapy Squad dog, Ingrid, a Lab/retriever mix who loves reading with children but is not so fond of nuzzles from the cat. The “LoDog” house features a façade that “barkens” to the architecture of Denver’s early days with modern day hints from the graffiti wall, keeping Ingrid in sync with the city’s historic/hip LoDo area.